Discussion in 'Game Updates' started by Bruthor, Apr 23, 2018. 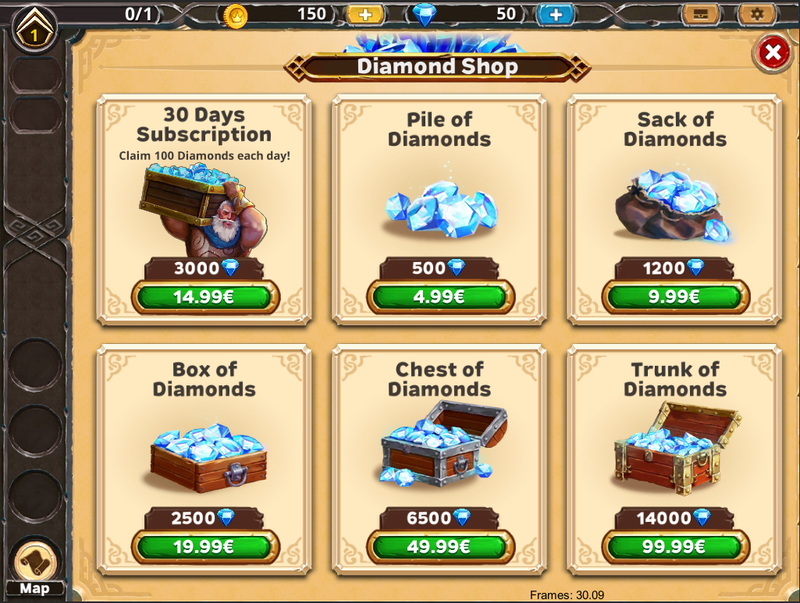 The in-game shop has received a better design and you can now always buy a Diamond subscription if you have none active. T'rut has been visually updated and is now wielding a pike instead of a sword. Swords wielded by this regiment will be replaced with pikes of equivalent power while the old sword will be put into your inventory. Check it out on Sketchfab! Regiments are now sorted by their strength rather than their rank. This way you can easily spot your strongest regiments. The merchant stopped trying to sell stuff you can't currently use. Happy browsing! The campaign battle difficulty rating (aka Skull Levels) is now similar to the PvP system. You will now also receive better and more useful rewards. However, Shards have been removed as possible rewards. Some regiment shards are now only available after reaching a certain Warlord Level to streamline player progression more intelligently. Felipe Matos and Link like this.